When you arrive at Schiphol Airport, your journey is not over. 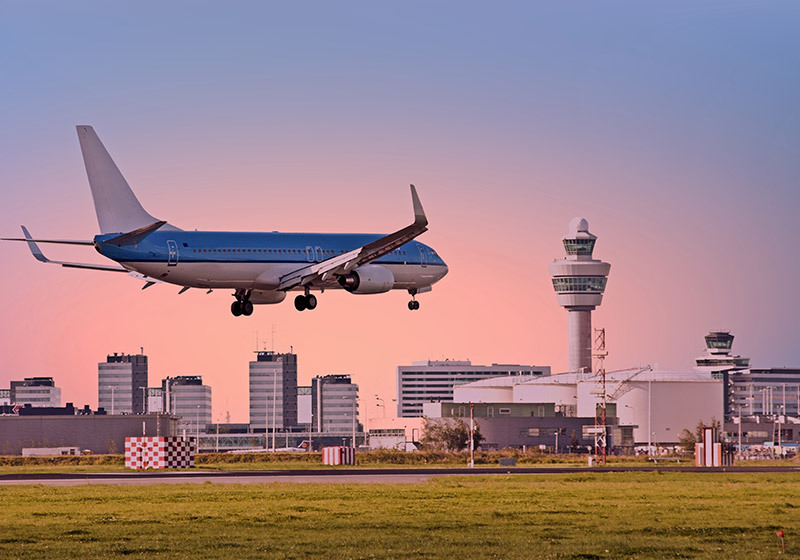 Unless you are planning to stay at Schiphol you will most likely be traveling to a location in Amsterdam, somewhere in The Netherlands or elsewhere in Europe. Airport transfers can be a daunting experience, with unreliable taxi drivers and high rates. With Amsterdam Airport Transfers you can sit back and relax, we provide the highest level of quality in private transportation services, with a price that will surprise you. Read on to find out everything you need to know about Taxi Amsterdam Airport Transfers. Book a taxi with Taxi Amsterdam Airport Transfers, or contact our staff 24/7 by phone or instant messaging. Driving by taxi has never been easier! Schiphol is one of the most important airports in Europe, with millions of travellers passing through there is a need for solid transportation. You can choose public transportation, the options in The Netherlands are numerous such as train, bus, metro or tram. However, the convenience is often lacking, the rules and rates are difficult to understand when you are already tired from the flight. That’s where Taxi Amsterdam Airport Transfers come into play, we are the missing link between Schiphol and the city of Amsterdam. But that’s not all we have to offer, our services go far beyond the city limits, and also far beyond your expectations! At Taxi Amsterdam Airport Transfers we go far beyond the regular taxi services that other companies offer. This is what we do, and how we do it! ● Always punctual because of our text messaging service, you don’t have to wait at the Airport. ● We will bring you to your hotel quickly and safely thanks to our professional drivers. ● Our comfortable fleet of cars will give you the feeling you are still in the air, travel in class from start to finish. ● See the sights and let Taxi Amsterdam Airport Transfers show you the sights. We know the area and can show you beautiful locations around the country. ● Are you travelling in a group? Are you expecting VIP guests? Every ride is a custom ride, just tell our helpful staff what you want and we will take care of it! Schiphol Airport is the largest but not the only airport in The Netherlands, and certainly not in Europe. That’s why we also offer Airport Transfers in Belgium and Germany, to your hotel, a business location or perhaps take a sightseeing tour. For all your private transportation needs in and around Schiphol, Amsterdam Airport Transfers has got you covered! Contact us now for a custom quotation and all the options.